It is with great sadness that we announce the passing of Peter Anthony Frechette of Cowley, Alberta at the age of 50 years. 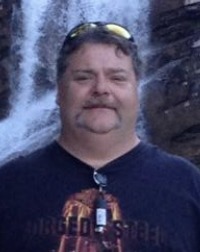 Peter died suddenly as a result of a tragic accident in British Columbia on March 27, 2019. Peter was born December 17, 1968 in Sherbrooke, Quebec and was the sole boy in a family and the oldest of five children. Peter was a protector of his sisters and was well taken care of by them. As a young man Peter left his home and family and moved west to Alberta where he met Cindy, whom he married and had 3 children with. After many years they separated, Peter met Chris who became his girlfriend and companion until his death. Peter will be sadly missed by his loving girlfriend, Chris Cornell; his children Storm (Eli) Hofer, Dakota Frechette, Brooke Frechette (Dustyn), Justin Cornell (Jessica); his grandchildren Sawyer Frechette, Addalynn Hofer and Beaux Cornell; his parents Sharon and Michel Frechette, his sisters Lisa Frechette, Stephanie Frechette (David), Melanie Frechette and Melinda Frechette; his ex-wife Cindy Frechette, his mother and father-in-law Edna and Joe Thompson, his brother-in-law David (Christine) Thompson and his nephews Mike Peters, Jason (Justice) Thompson, Brandon Thompson and Elija Frechette, extended family and many special friends. Peter was an avid biker and like to spend his free time riding in the mountains with Chris and numerous friends. He loved to take friends for rides on his bike and show them the beautiful country side Southern Alberta has to offer. Peter loved to spend time when not working at home relaxing watching movies. Peter was a kind and caring man who was always there for a friend in need. He would have given the shirt off his back. Peter had an unusual sense of humor and liked to play pranks and he was always one to photo bomb a picture and to make you laugh. Peter’s pride and joy were his children and grandchildren, his memory will live on through all of them. Peter will be sadly missed by all who knew him. A Funeral Service will be held Tuesday, April 9, 2019 at 1:00 p.m.at Cowley Community Hall. Memorial Donations may be made to Biker's Against Child Abuse Canada, P.O. Box 22030 Henderson Lake, Lethbridge, AB, T1K 2S2, in memory of Peter.